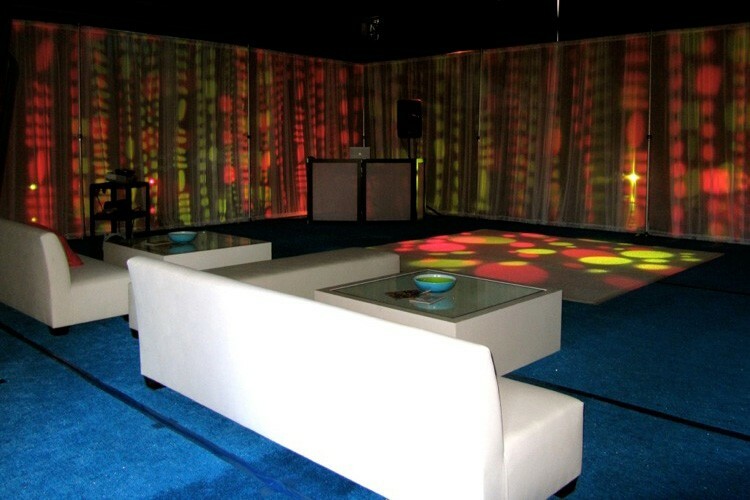 It’s amazing how a little creativity can go a long way on a limited budget. 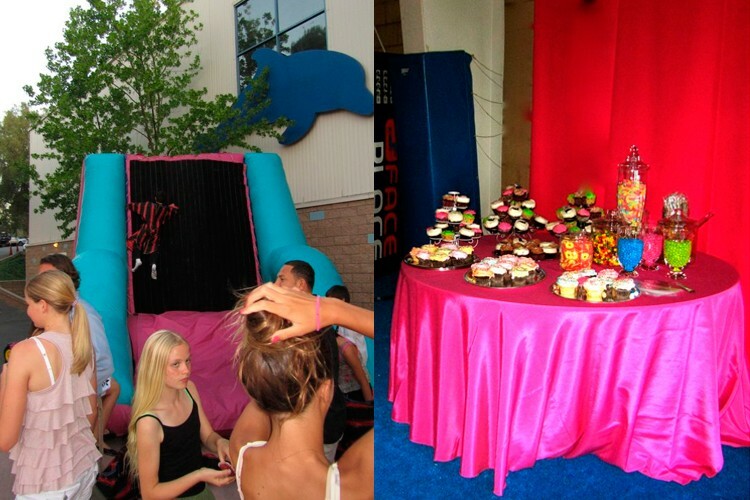 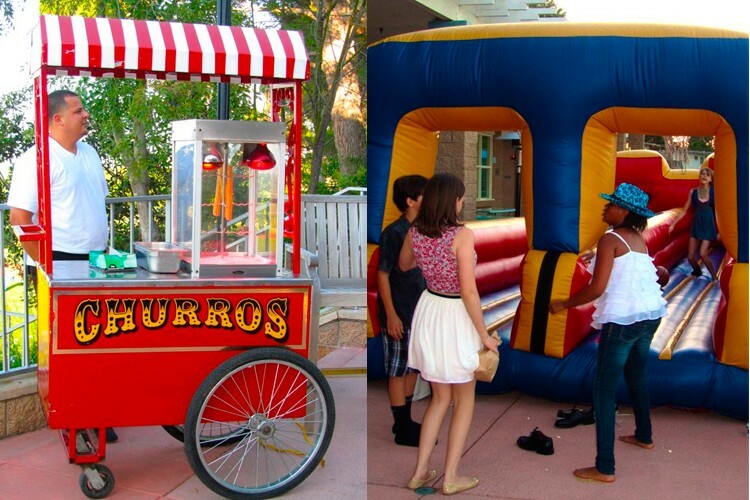 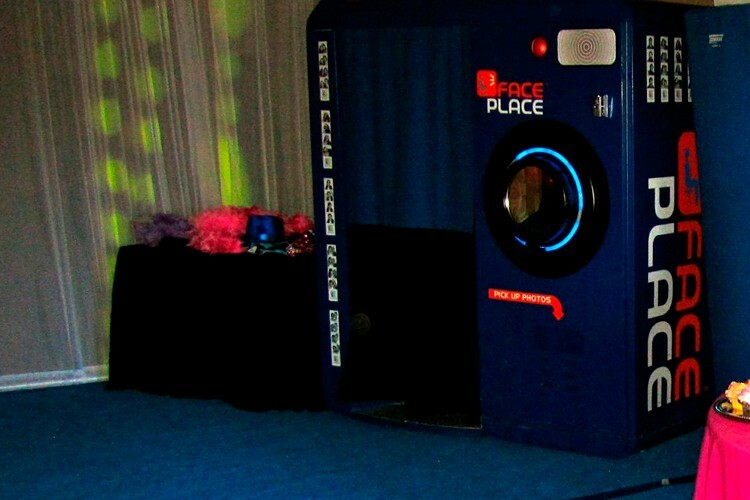 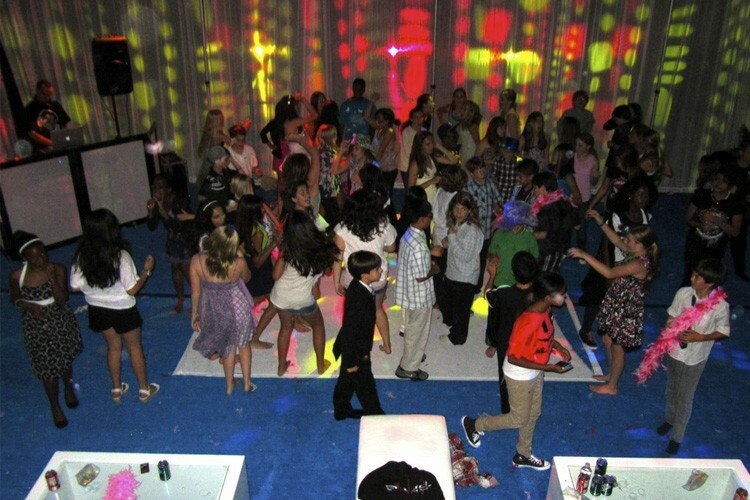 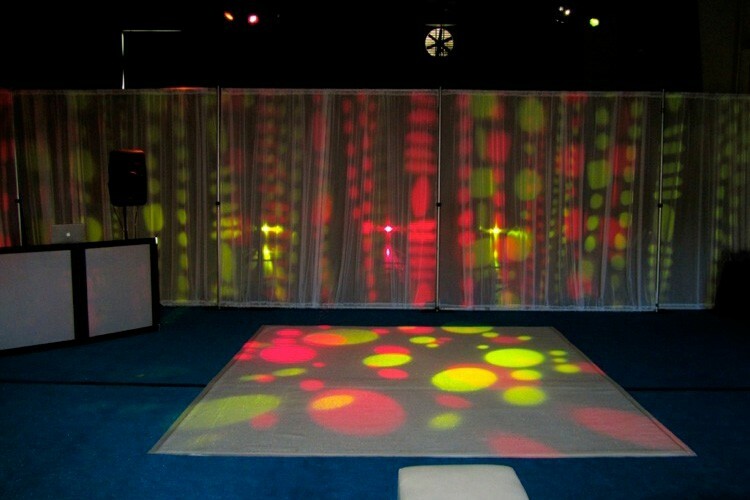 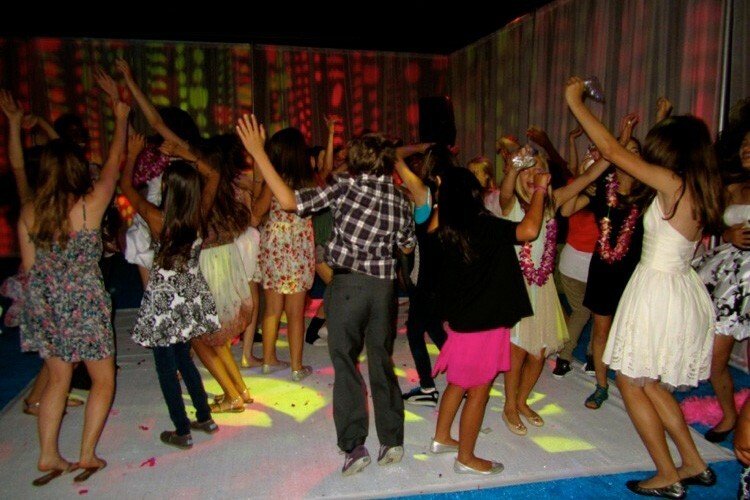 We sectioned off a piece of the Chadwick school gym and created a cool club with a fun lounge, groovy dance floor, an old fashioned photo booth, a colorful sweets station and a few fun inflatable games outside. 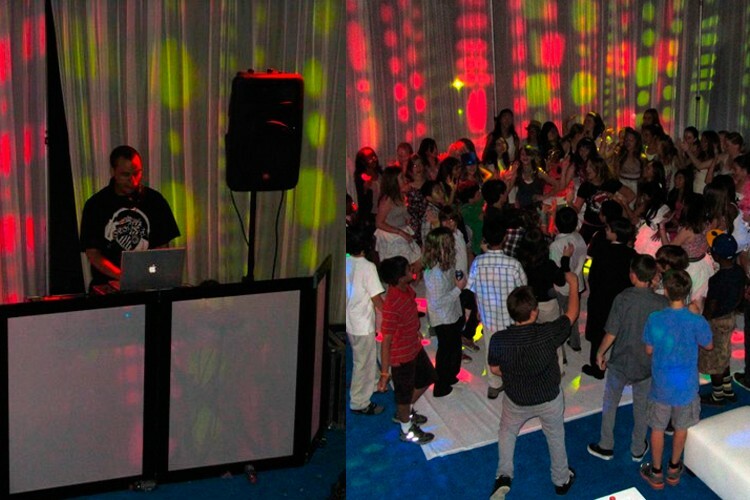 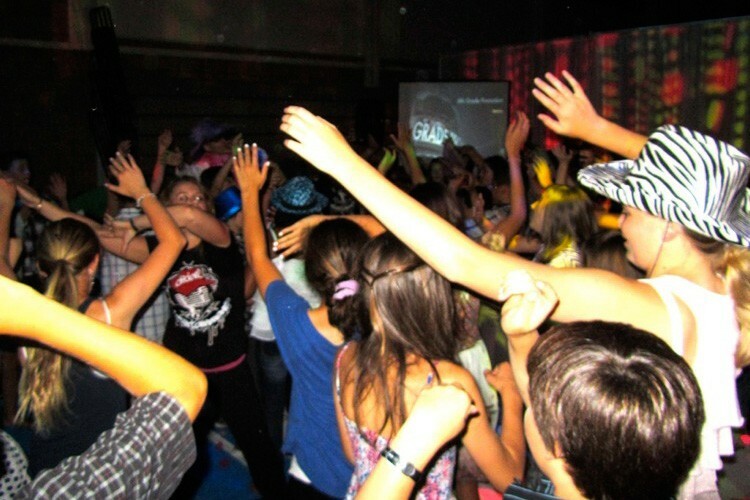 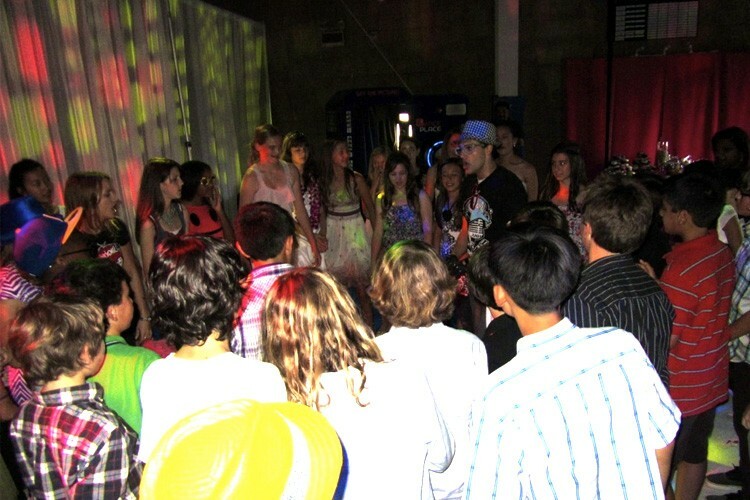 Topped off with a great DJ and MC who had the kids dancing all night.